The drop on the north-west facing side is pretty sheer, so we crossed into the field with the intention of going round the back and finding a more welcoming route. It was only a short climb but still not the easiest, as the ground is littered with massive boulders half-smothered by grass, bracken and thick ropes of bramble: you can easily plunge your foot into an unseen hole and twist your ankle. Approaching from the south-west brought us in line with what I guessed must have been an entrance – now just a gap in the few courses of stone that remain. Standing rather precariously on the low wall, you can just about make out that the structure was once circular. A few small mountain ash trees are making the best of it, their roots holding fast to the walls while their stunted branches stand in defiance of the wind. I picked my way around to the side with the sheer drop and perched on a lichen-covered boulder to admire the view. 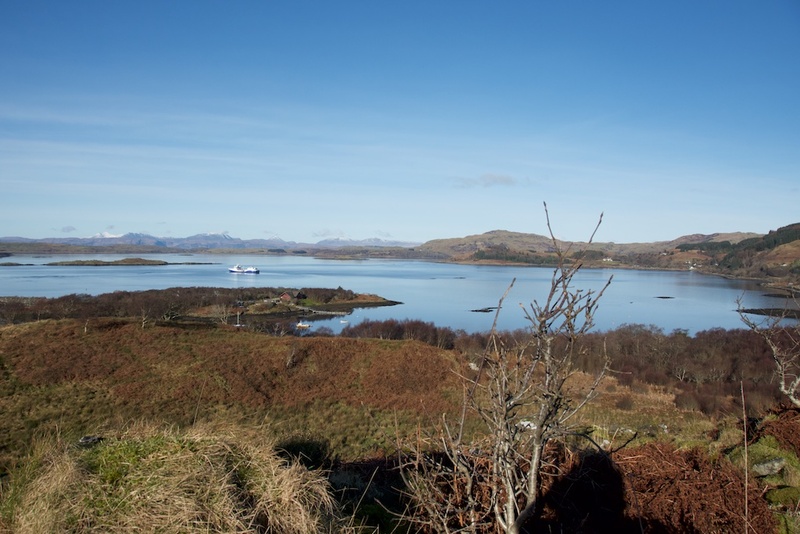 It was spectacular – a perfect blue sea melting away into the distance, with boats lazily making their way to and fro. 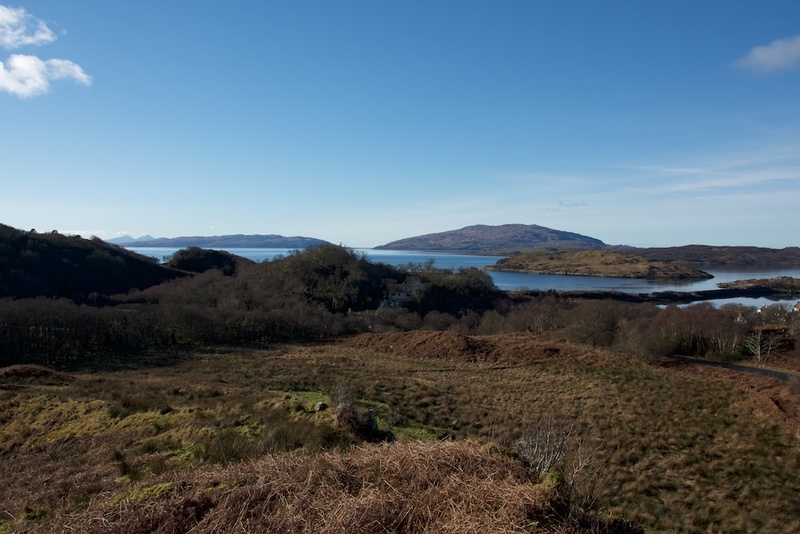 The hills of Morvern were lurking to the far north-west, with the snowy peaks of Mull more directly west; moving round, you could see the lumpy shape of Scarba and the distant Paps of Jura with the Corryvreckan whirlpool – or at least the stretch of water that holds it – visible in between. Robins were singing, and from far beneath the walls I could hear the barking of dogs. Dogs? Yes, really. Nothing supernatural: I could actually see them, tiny specks but dogs nonetheless, running around on the shore a couple of hundred feet below. Surveyors reckon that the walls were once between 10 and 12 feet thick, and at least one visitor detected traces of a gallery in the north-west face. I’m guessing that, at the time of these visits, the site was a little less overgrown than it is now. 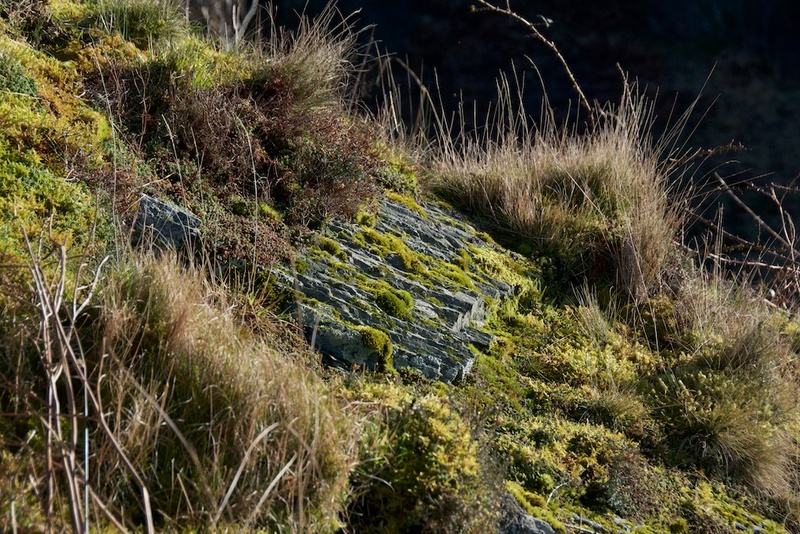 A deep layer of dead bracken masks the randomly fallen stones. It’s difficult to walk across it, and impossible to identify any features. 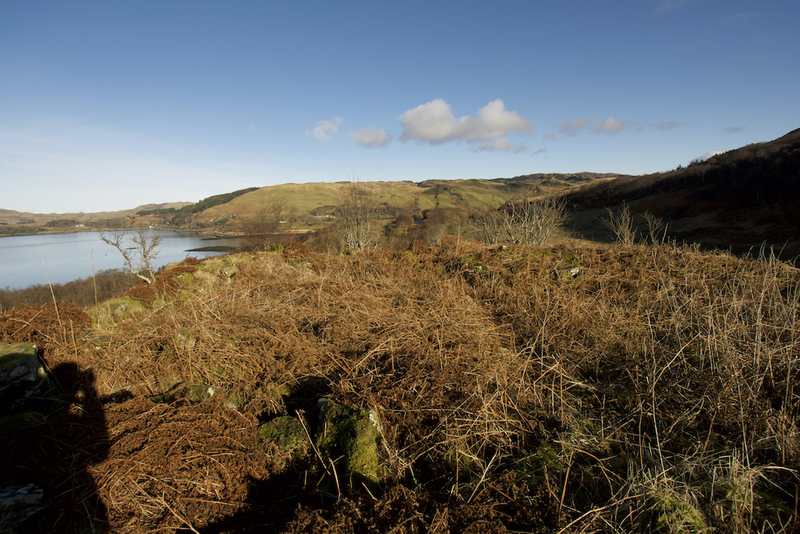 A faint path – possibly a deer track – has been worn through the bracken. Whatever it was once used for, this place is now thrown open to the winds, and they tear across the Firth of Lorn with some force. It’s not a place you’d go to for shelter; you’d take yourself down into the woods, because the wind in the trees is not quite as unsettling as the wind howling through the crevices of a stone wall, dogs or no dogs. *The stone that is said to mark the dog’s grave is no longer standing, and surveyors are now doubtful of its identity. 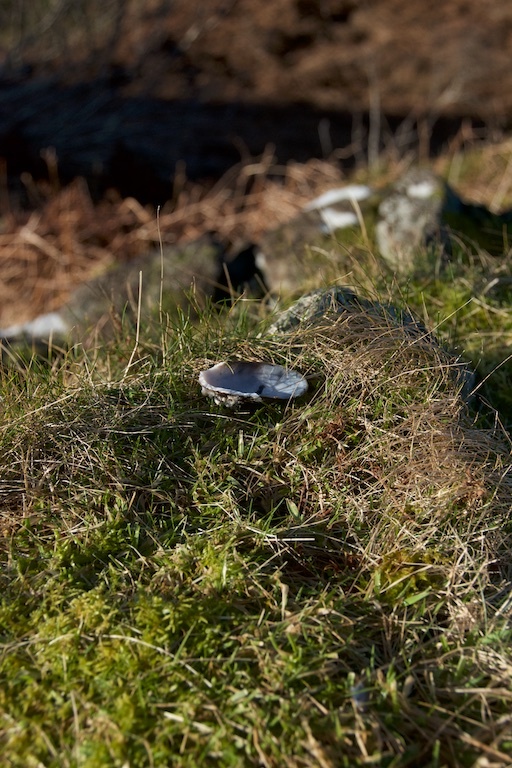 Half a mussel shell, on a hilltop? Seagulls are the likely culprit, dropping them onto the stones to smash them open. Both words signify a stone-built, roughly circular structure, probably dating from the Iron Age. Brochs tend to be scattered up in the north of Scotland and its islands – Mousa Broch on Shetland is the best-preserved example. 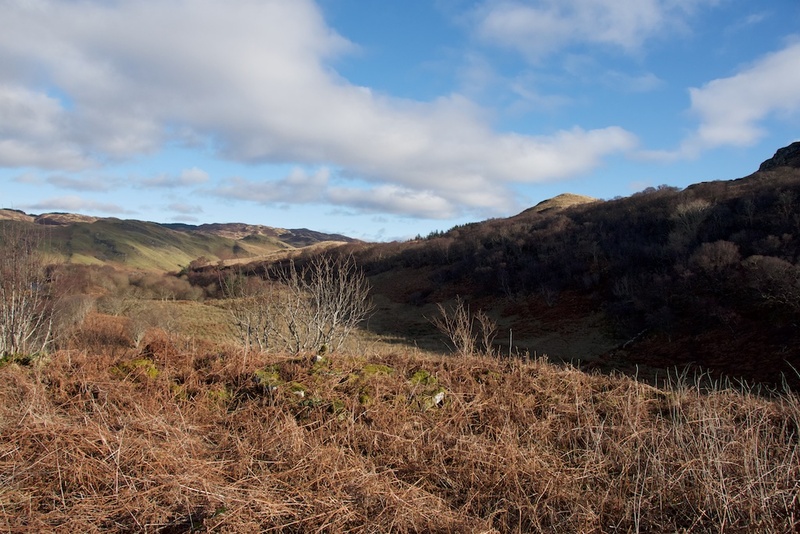 By contrast, if you open a map of western Scotland anywhere from Argyll upwards, you’ll come across the word ‘dun’ in several places, usually on a low hill or vantage point. In most cases there’s probably little left of it, other than a pile of stones. 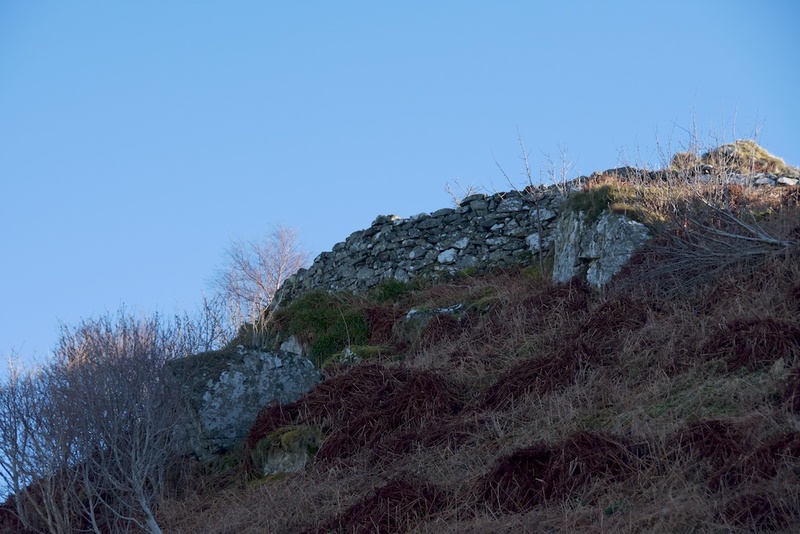 It can be confusing to try and understand the difference between brochs and duns, especially since a lot of brochs have a proper name that includes ‘dun’ – for example Dun Carloway on the Isle of Lewis (above) and Dun Telve and Dun Troddan at Glenelg. Is there any difference at all? 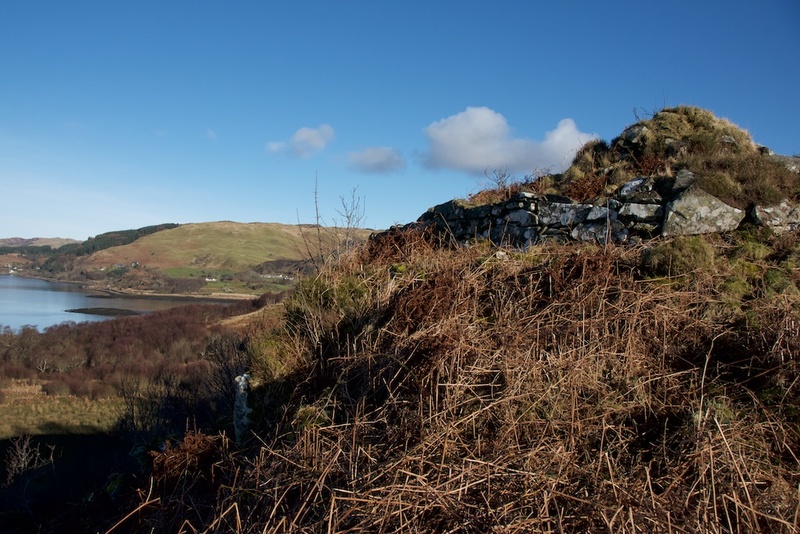 Some sources state simply that brochs were known as duns in the west of Scotland. 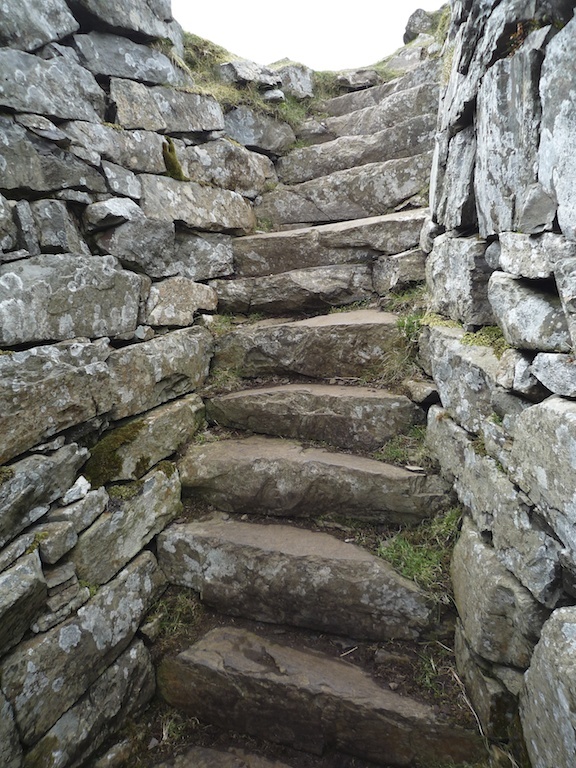 Others clarify by explaining that brochs were designed to be an expression of power, and were wider and taller than duns, double-walled with a stone staircase inside the cavity, and containing several floors. But then there are such things as galleried duns, and duns with enclosures, and the definitions become a bit blurry. The truth is that we really don’t know enough about why they were built, and who actually used them. One theory, which interests me, is that duns could have been signalling places, to warn people up and down the coast of invaders coming across the sea. 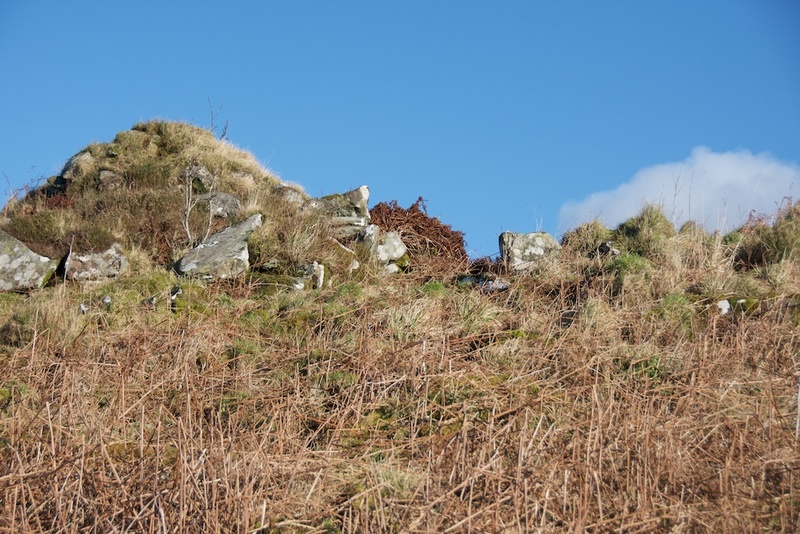 Check out my article Looking at Brochs, or take a wander around Dun Carloway (Isle of Lewis) and Dun Beag (Isle of Skye). Isle of Harris.com – a broch or a dun? 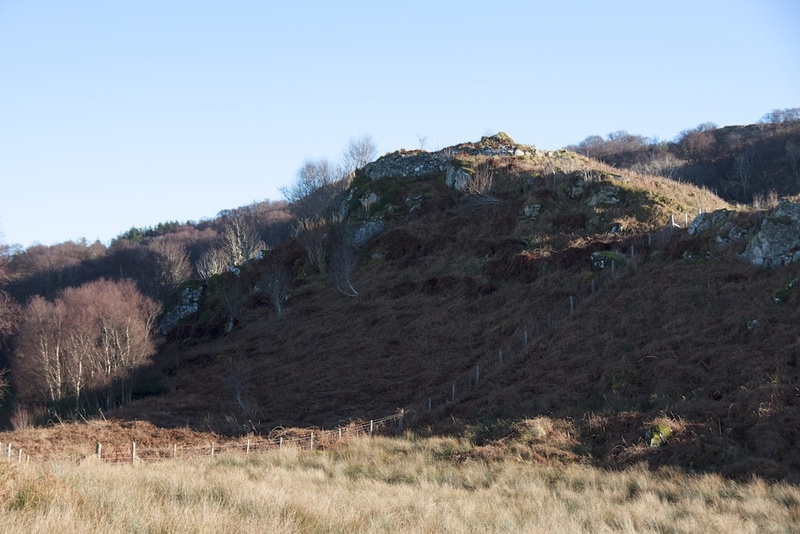 Interestingly in Glen Lyon in Perthshire there’s a similarly-named Caisteal Cona Bhacain (http://www.stravaiging.com/history/ancient/site/caisteal-cona-bhacain) associated with Fingal complete with a mini standing stone nearby (Cona Bhacain http://www.stravaiging.com/history/ancient/site/cona-bhacain) to which he is supposed to have tied Bran. I wonder if these are two separate legends or have the same origin. That’s very interesting! I’m sure the legends must be the same, or at least the same characters. Will check the links, thank you! Love Glen Lyon. It’s definitely the same characters, I’m just curious if it’s the same story transplanted to a different area, or different stories with similarities. The history there is fascinating and the scenery is beautiful. You could let your imagination run free, standing on those ruins. Yes, it’s a beautiful and quiet part of the world. So much ancient history here – you really can let your imagination run riot! 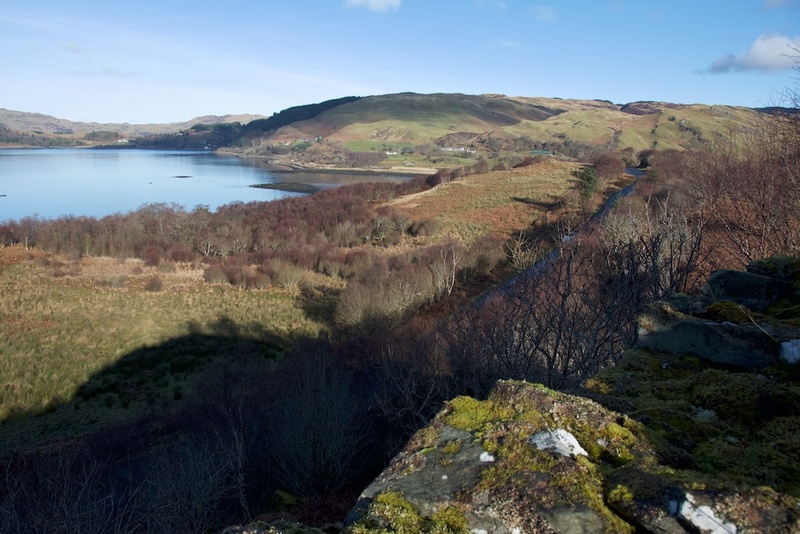 Well you do have a great deal to explore in that part of Argyll (even though you are already familiar with much of it). So look forward to more discoveries to come. Thanks for the open views, I can now place where you are in your new home….nice indeed. So stunning. I try to imagine the daily lives of those who used it and looked out in all weathers and also heard robins singing (maybe), but saw different boats! Thanks for the photos & the words. I know Edith, wouldn’t it be fascinating to glimpse that time! Really glad you enjoyed it, and thank you. Beautiful photos, Jo. I can understand you being lured by the name of the castle. 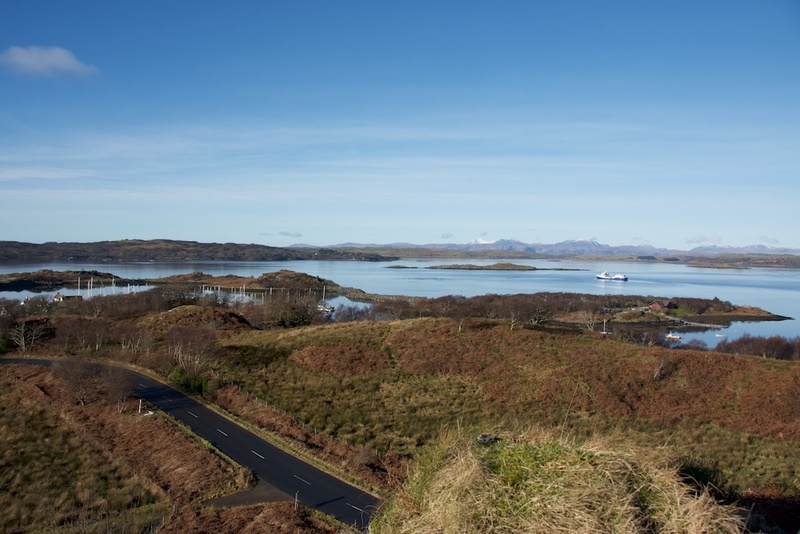 Do you think in those long gone days Argyll was a more highly populated area than it is now? There seem to be a lot of these small settlements dotted about, but does anyone know how many people a place like the castle of the black dogs would be likely to house? Thank you, Lorna! Yes, how could you not be intrigued by such a place?! From what I’ve read, I think it’s very difficult for historians to say how many people lived in Argyll during that time, or even how many people would have inhabited a dun or a broch. When I was researching a similar site in Knoydart, sources suggested that the broch was not the only habitation of that time on that coast, but that it was built to impress, perhaps used only by a select few, and that the more humble dwellings were built of materials such as wood and thatch, which of course have perished over time. So we’re back the scenario of interpreting history through what has survived. The overriding sense I get is that there was a strong connection with the sea, because that’s where trade and news, settlers and invasions mostly came from. I’m tempted to think these places were a refuge as well as a vantage point. But that is purely speculation!